← TODAY SOLD OUT – GET TIX FOR JULY NOW! NEWS: July Event theme change announced! So we have laid our Skullympics: Bloody Games theme to rest (for the time being at least- let us know if have a venue for it to run in August?!) and are excited to announce our brand spanking new theme for July’s Cass Art Art Macabre event is…. Oh we do like to be beside the seaside! Let us whisk you away on a most ghostly of coastal adventures with our Great British Summer holiday special! Delight in the pleasure (and pain) of the beach, as we invite you to join us at the end-of-the pier for fearful frolics in the sand, cruel summer celebrations and nautical naughtiness in deathly doses. 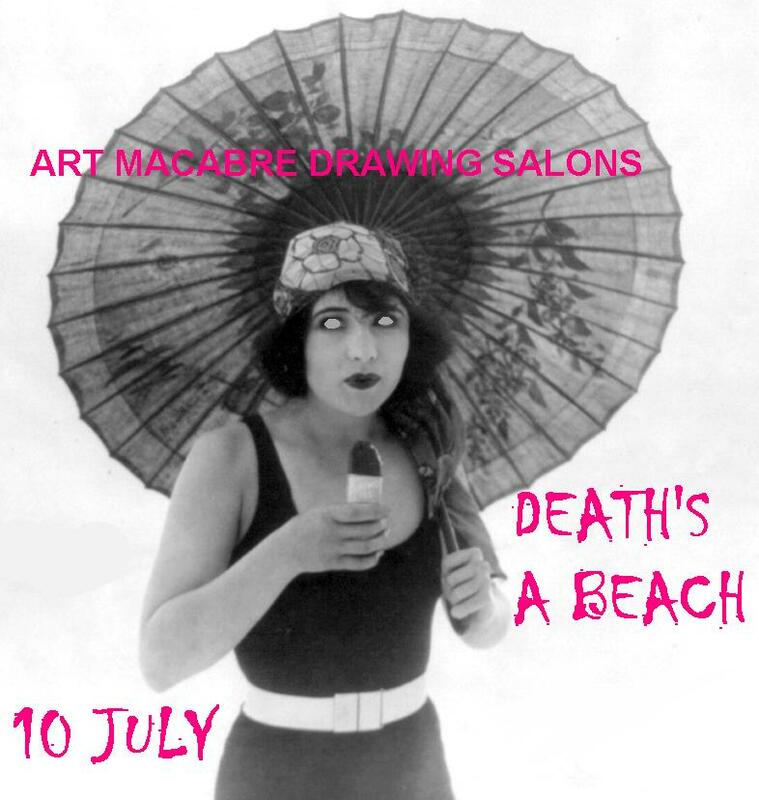 Escape the city blues to draw vintage bathing beauties and gore galore on the seashore. Indulge in traditional holiday sweet treats with a twist, from experimental candy floss to ice cream cakes to make you scream!